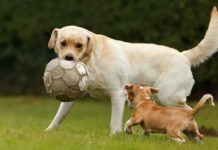 Golden Retriever vs Labrador - Which Is The Best Pet? Golden Retriever vs Labrador? 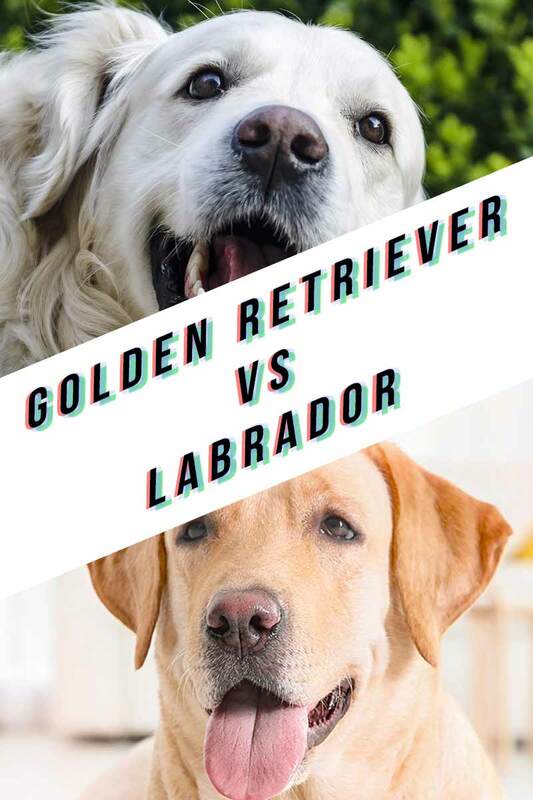 Labrador vs Golden Retriever? It’s A Conundrum! How Do You Choose Between These Similarly Wonderful Dog Breeds? You’re thinking about getting a new dog and have narrowed down the choice to the Golden Retriever or Labrador. Congratulations, that’s a pretty great dilemma! Especially given that both of these popular dog breeds are famously friendly and lovable! It’s hard to go wrong with either breed, as millions of dog lovers can confirm. But while both share some similarities, there are also differences between the two breeds that can help you finalize your decision. We’ll tell you all you need to know about these wonderful dogs, so you can declare a winner in the great Golden vs Lab debate! What’s the difference between a Lab and a Golden Retriever? Either a Golden or a Lab can melt the heart of any animal lover. But as with most breeds, many dog lovers have a favorite. Are you a Golden person or a Lab person? If you’re new to both breeds, here are some key facts about Goldens and Labs to help you decide which one is the perfect pet for you. As you will see, there are good reasons why both are so popular! The Golden Retriever can trace its ancestry back to the 1800s, when the founder of the breed, Lord Tweedmouth, crossed a Wavy Coated Retriever with a Tweed Water Spaniel in Scotland. The result of this original cross breeding (and later modifications) is the Golden Retriever, a dog famous for its devoted, big-hearted personality and rich golden coat. The Golden was bred to be a sporting dog. This means that it is adept at finding and retrieving birds and other game brought down by hunters. As a Retriever, the Golden is bred for a soft, gentle mouth and an obedient, highly trainable temperament. Like other Retriever breeds, they were often used to retrieve waterfowl, and still retain their love of water. Goldens can vary in appearance depending on where they were bred. Dog breed experts note that there are differences in British, American, and Canadian Goldens. The British type is generally larger and more muscular than the other two. There are also some coat variations among the three types too. When it comes to sheer numbers, the Lab has ranked #1 in popularity among all dog breeds for many years. 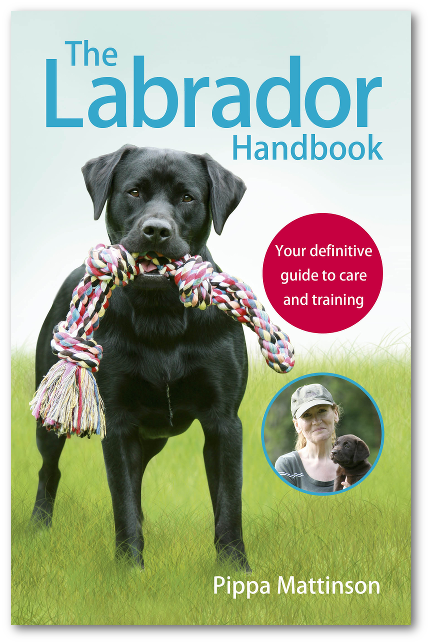 The Labrador was first developed in Newfoundland Canada from other local dogs like the St. John’s Water Dog. The Lab was used as a working water dog, to help fishermen retrieve nets and haul gear. Their love of water and expert retrieving ability made them ideal waterfowl retrievers for hunters who brought the breed to the U.S. and U.K. Lab experts note that there are two different types of Labrador Retriever. They are the American (or Working) Lab and the British (or Show) Lab. They differ in both looks and temperament. 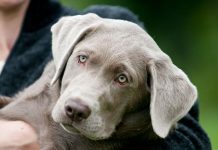 The American type Labrador Retriever is sensitive, intelligent, and active. The British type is generally larger, calmer, and less energetic than its American counterpart. Although it can also be a little sillier! Both types of Lab are famously friendly, playful, and outgoing. Besides being a popular family pet, they are also frequently trained as service dogs. As are Golden Retrievers, and Golden Lab mixes too! So as you can see the Golden Retriever vs Labrador histories are fairly similar in terms of their working purpose. But although tthey have quite similar histories, what about their stature? 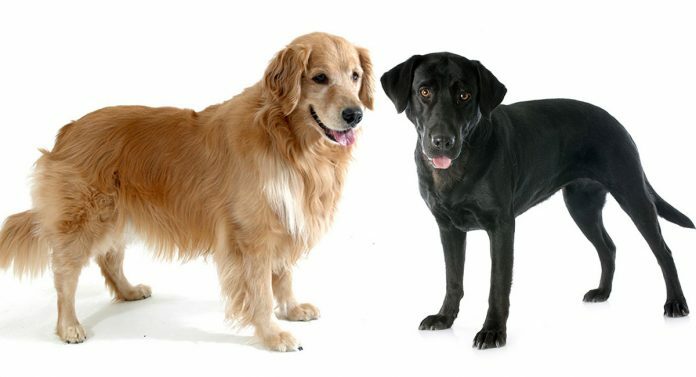 Both Goldens and Labs are popular choices for people interested in medium to large sized dogs. How do Goldens and Labs compare in size? When looking at size, remember that males tend to be larger than females, and height is measured at the tallest point on the body—the shoulder blades or “withers”—and not the head. According to the American Kennel Club breed standard, male Golden Retrievers are 23 to 24 inches in height; females are 21 ½ to 22 ½ inches. Males weigh between 65 and 75 pounds; females are 55 to 65 pounds. 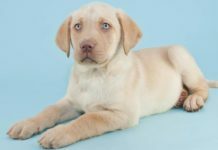 The AKC breed standard for the Labrador Retriever says that males should be 22 ½ to 24 ½ inches high at the withers; female height ranges from 21 ½ to 23 ½ inches. Male Labs can weigh between 65 and 80 pounds, while females should be between 55 to 70 pounds. Generally, the Lab is a slightly larger dog than the Golden. While breed standards are exacting for show quality dogs, remember that a pet quality dog can be larger or smaller than the breed standard, depending on the individual animal. The overall body type of Golden vs Lab reflects the size difference between the two breeds. The proportions of the Golden tend to be elegant and symmetrical. Labs are generally more solid and sturdy than overly refined. Coat type, grooming requirements, and amount of shedding often play a large role in the Golden Retriever vs Labrador decision making process. Many people think Labs require less maintenance than Goldens. Is this true? Let’s look at the coat types and grooming needs of both breeds. 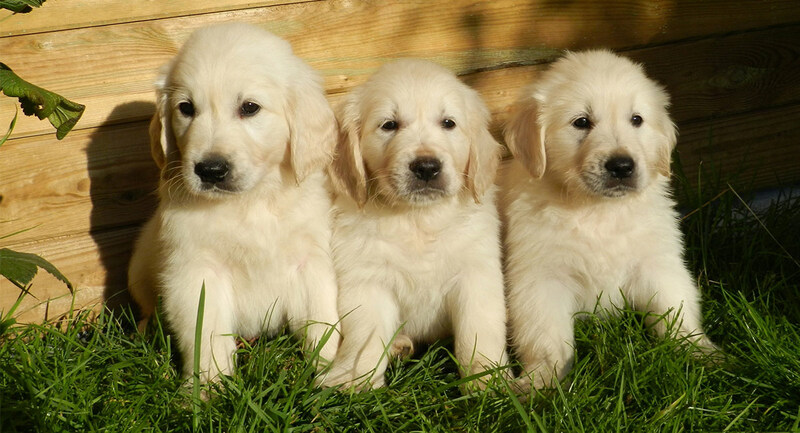 The Golden Retriever has a medium length double coat, consisting of a water repellant top coat and a soft undercoat. They have longer “feathering” fur on the neck, legs, and tail. Goldens are sometimes bred for longer, silkier coats than what is described in the breed standard. Many owners like soft, flowing coats while breed purists say that Goldens, as hunting dogs, should have more moderate coats. All Goldens, regardless of coat length and texture, require regular grooming. The undercoat grows denser in cold weather and sheds in warm weather. Use of an undercoat rake can help remove loose fur from the undercoat. For the top coat, many experts recommend a good quality slicker brush as a must-have. Some also like steel tooth combs. More than one brushing per week is recommended for Goldens. Grooming a Golden also requires trimming some of the longer fur with scissors, specifically thinning shears. Areas that require regular trimming with scissors include the ears, feet, neck, and tail. The coat of a Golden Retriever should never be shaved. Besides maintaining the coat, basic grooming needs for a Golden also include baths, nail trimmings, and ear and teeth cleaning. Remember that drop eared dogs are prone to ear infections. So how does Golden Retriever grooming compare with Labrador Retriever grooming? Like the Golden, the Labrador also has a double coat. It consists of a soft undercoat that protects the dog in cold weather, and a top coat that is shorter in length than the Golden’s. Also like the Golden Retriever, the Lab does shed its undercoat in warm weather. Is grooming a Lab easier than grooming a Golden? Labs don’t have the feathery furnishings on the ears, neck, and tail like Goldens, so those areas will need virtually no trimming. However, while their coat length is short, they do have a double coat that needs maintenance. Labs require an undercoat rake to remove the dead hair from the undercoat. You can then use a slicker brush for an overall grooming, and some Lab owners like to use a comb on their dogs as a final step in the grooming process. Like Goldens, the coat of a Lab should never be shaved. Nail trimming and ear cleaning should also be a regular part of your grooming routine. 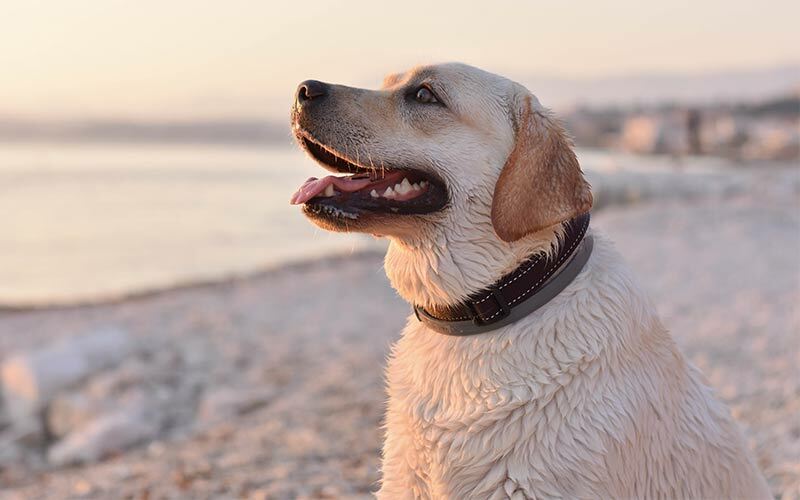 Labs generally need to be bathed less frequently than Goldens, which reduces the number of regular grooming tasks for potential owners concerned about overall maintenance time. In non shedding season Lab’s coats are less maintenance than Goldies’, but what about moulting? As we’ve seen in the grooming section, both Labs and Goldens have double coats consisting of a top coat and an undercoat. The undercoat will shed in warmer weather in both breeds, but does one dog shed more than the other? Let’s find out. Golden Retriever owners will be the first to tell you that Goldens can shed quite a bit all year round. If you’ve ever petted a golden retriever while wearing black trousers, you will be able to attest to this. Besides normal, everyday shedding, their undercoat grows thicker in the winter and sheds in the spring. This warm weather shedding is often called “blowing the coat” — a very descriptive term for the extensive seasonal Golden shedding! The best way cope with shedding in a Golden is with a good brushing every few days; once weekly brushing may not be adequate. Besides regular brushing, your Golden will need regular grooming sessions with an undercoat rake, especially during shedding season. When you first start using an undercoat rake, you may be surprised at the huge amount of dead fur that will be removed from your dog’s coat. Don’t panic! This will only be at the beginning. Once you start doing it regularly, a once weekly raking should be fine. Grooming your Golden outdoors can be a good way to reduce the amount of hair in the house. And remember to never shave a Golden Retriever’s coat. How does Golden Retriever vs Labrador shedding compare? While Labradors do have shorter hair than Goldens, don’t believe anyone who says Labs don’t shed. Labs shed as much as, if not more than, the average dog. Like Goldens, Labs have a double coat. While the outer coat is short, it’s the undercoat that experiences a big seasonal shedding in warm weather. You will often hear Lab owners refer to this as blowing the coat, just like in Golden Retriever’s. Also like Goldens, Labs need regular grooming to control the shedding. They will need to be brushed with a slicker brush and groomed with an undercoat rake. The undercoat rake is the best way to deal with heavy seasonal shedding. 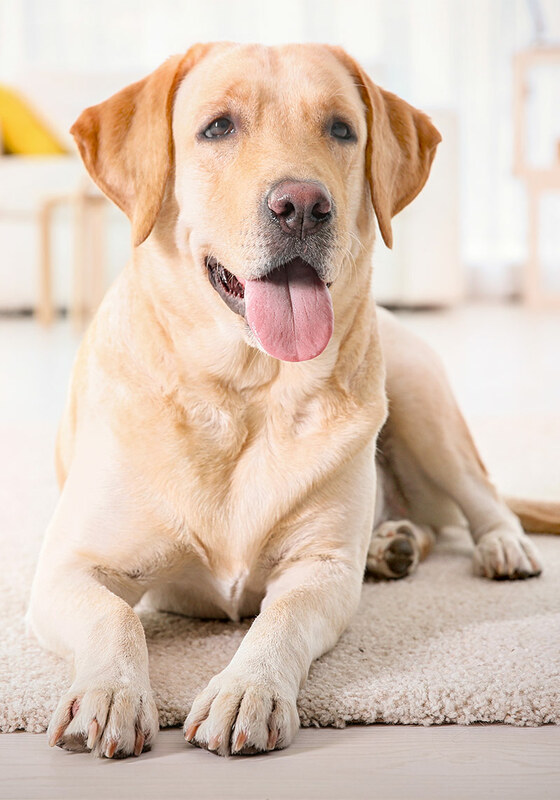 If less shedding is the reason you choose a Lab over a Golden, you should be aware that Labs do shed on a normal year-round basis like other dogs, and they also go through a heavy seasonal shedding that will require extra attention. Fur in the house can be controlled by outdoor grooming sessions. So Golden Retriever vs Labrador shedding is similar, but Goldens usually require more day to day grooming. Their long hairs also show up more when they do shed than the black or chocolate Lab, due to their light color. We’ve talked about coat type, but what about coat color? Many potential owners wonder about coat color choices in both Labs and Goldens. Here’s a quick look at coat color. 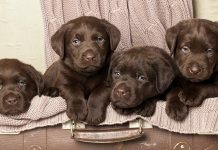 The Labrador Retriever breed standard recognizes three solid coat colors: black, yellow, and chocolate. No other color variations are acceptable in show quality Labs. The yellow and chocolate colors can both vary in shading from light to dark. Golden Retrievers are, of course, golden in color. The breed standard describes it as a rich, lustrous golden that can vary from dark to light, although very light and very dark are not accepted in show quality dogs. Some Goldens have lighter colored fur on the areas where the coat is long and feathery, such as the tail, neck, and legs. What about the yellow Lab vs Golden Retriever? Potential owners often narrow their choices down to yellow Labs and Goldens because of their physical appearance. Yellow Labs and Goldens can have very similar coat coloring, but their coat types will be true to breed. Breed also matters much more than color in terms of temperament. Read on to learn more! The words commonly used to describe the temperaments of both Goldens and Labs are the words we use to describe very good dogs! Both breeds are friendly, reliable, affectionate, gentle, trusting, and kind. But many potential owners wonder about the differences between Lab and Golden Retriever personalities. Before talking about temperament, it’s always a good idea to remind new dog owners that all dogs are individuals, and breed alone does not guarantee any specific personality traits or behaviors. Meeting the parents, good training and socialization practices from puppyhood into adulthood are the best ways to ensure that you get the kind of dog you want. Labs and Goldens are both very trainable and obedient, which is good news for novice owners. Canine behavior experts explain the minor temperament differences between Goldens and Labs in terms of degrees. Generally, Goldens are said to be a bit softer, gentler, and more sensitive than Labs. For example, a Lab that gets a scolding may be more likely to brush it off and go about his business than a Golden. While both do well in families with children, Labs tend to have the advantage in adapting to households with boisterous, lively, and loud young children. Many Goldens prefer a slightly more calm and tranquil home environment. It’s always important to take your lifestyle into account when choosing a dog…both the breed and the individual animal. An active family with young children may prefer an energetic Lab, while a retired couple may welcome a gentle Golden instead. 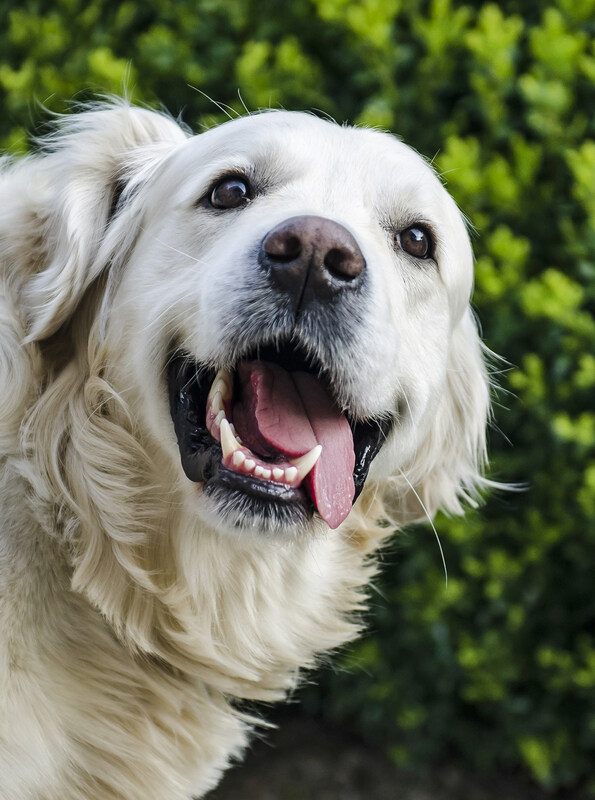 Like most purebred dogs, both Goldens and Labs can suffer from inherited health problems. What are the main health issues potential owners should know about in both breeds? Here’s the rundown on Golden Retriever vs Labrador health problems. Goldens can suffer from hip and elbow dysplasia, as well as eye and heart problems. One important genetic health issue potential Golden owners need to know about is the breed’s increased risk for cancer. Approximately 60% of Goldens will develop cancer at some point in their lives. The cancer incidence rate in U.S. Goldens jumped in the 1990s, suggesting a recent genetic mutation. The Golden Retriever Lifetime Study is an important long-term project that studies cancer in Goldens. Researchers have made great progress in understanding the genetic and environmental risk factors for cancer in Goldens. Two types of cancer are especially common in Goldens: hemangiosarcoma (cancer of the blood vessel walls, affecting the spleen and heart) and lymphoma (cancer of immune system cells, affecting lymph nodes, liver, and spleen). Labrador Retrievers are at an increased risk for obesity compared to other dog breeds. 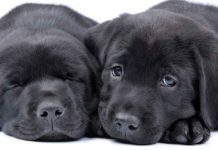 Recent genetic research, led by the GOdogs project at Cambridge University, has found a genetic mutation that affects appetite and obesity in Labradors and Flat-Coated Retrievers. A variant of this gene, called POMC, is present in one quarter of all U.K. Labradors. Dogs with 2 copies of the gene are on average 4 kg heavier than non-carriers. The affected dogs also score higher on food motivation tests. Weight management is important for all dogs, but especially for breeds at higher risk for obesity. When looking at Golden Retriever vs Labrador health as an overall picture, the Labrador probably comes out on top. The high risk problems in Labs are often avoidable through health testing. Good hip and elbow scores, PRA clear DNA test and a recent eye test will help you to find a health puppy. With Goldies these tests still need to be carried out, but there is the added life limiting risk of cancer. Both Labradors and Goldens rank high on most people’s lists of the ideal dog to add to their family. It’s no accident that the Lab has been the most popular dog breed in the U.S. for the past 26 years, and the Golden is not far behind. If you are looking for an energetic, intelligent, and outgoing dog to keep up with your active lifestyle, particularly if you have children, the Lab might be the perfect dog for you. You will have to watch their weight, and make sure that you get your puppy from fully health tested parents. If a loving, kind, and gentle dog is more your speed, be sure to consider the Golden. Golden Retrievers also need fully health tested parents, but there is the added risk of cancer in Golden Retrievers to consider. This is something you can’t avoid through health testing, but might be helped by choosing puppies with older parents and no family history of cancer. Can’t decide? Then maybe a Goldador is what you are really looking for! Simpson, M., Searfoss, E., Albright, S., et al. “Population Characteristics of Golden Retriever Lifetime Study Enrollees.” Canine Genetics and Epidemiology, 2017. Raffan, E., Dennis, R.J., O’Donovan, C.J., et al. “A Deletion in the Canine POMC Gene Is Associated with Weight and Appetite in Obesity-Prone Labrador Retriever Dogs.” Cell Metabolism, 2016. 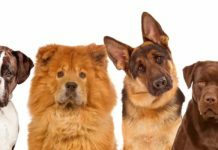 Previous articleMixed Breed Dogs – Is It Wrong To Create Hybrid Dog Breeds? In the field world, people will tell you “If you want a machine that mows over every blade of grass to find the bird, get a lab. If you want a dog to stop and think about the best route to find the bird, get a golden.” That’s really the difference–if you want a high energy dog that never stops and can take a lot of distress, labs are your dog. If you want a high energy dog that is strategic, and won’t make the same mistake twice, then you’re a golden person.